Shepherd's Pie | Two Guys In a Cucina! Gordon Ramsay provided us with a very tasty shepherd’s pie recipe. 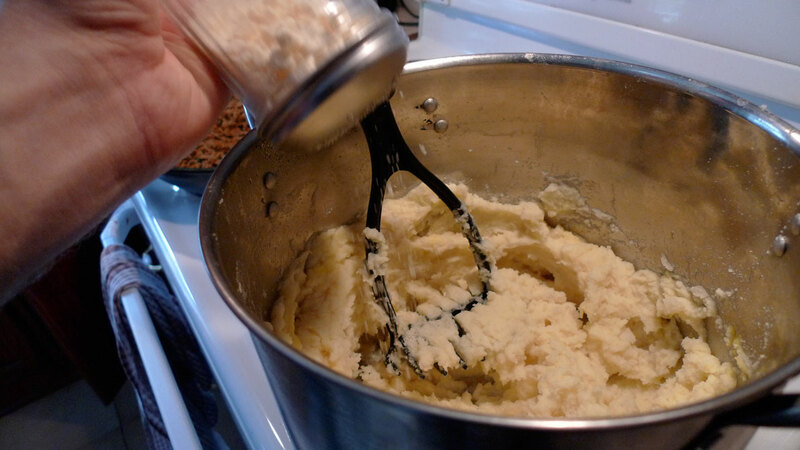 The seasoning adds an excellent balance to the taste of a sometimes bland dish. Good enough to eat without ketchup or gravy! In a large pan, heat the oil. 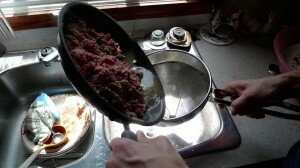 Season the mince meat to give it a nice color and to remove the unwanted fat. 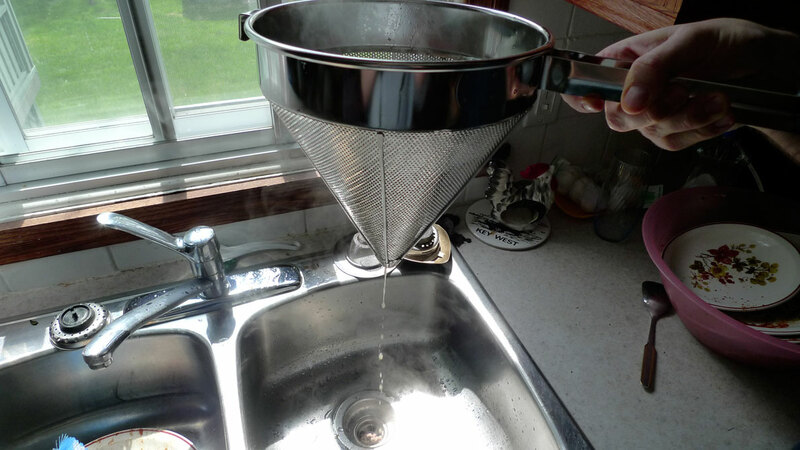 Drain the fat through a chinois or a colander to allow the excess fat to drain. This recipe was taken from Gordan Ramsay. One of our helpers miss-interpreted our directions and ended up slicing the carrots instead of grating them… sooooooooo how did we fix it? We turned them into MULCH!!! 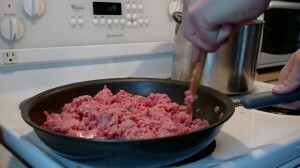 Add the minced meat and remove accumulated fat by draining with a strainer. 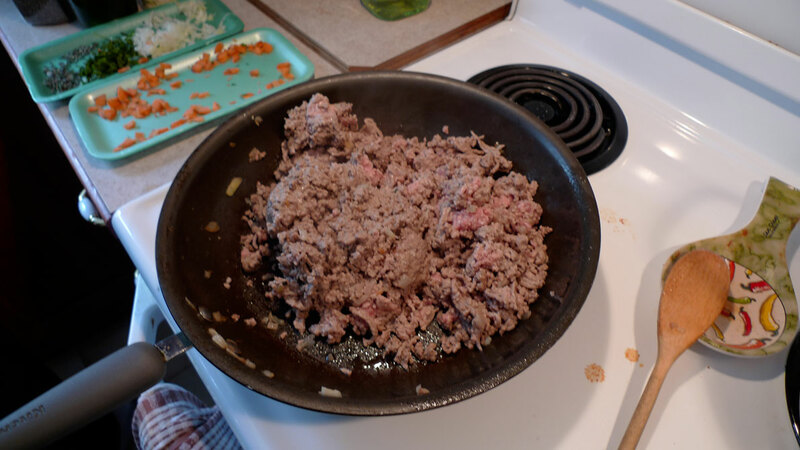 Once excess fat is drained, return to pan and cook until lightly browned. Meanwhile, to stay ahead of the game, bring water to a boil and add salt in a large saucepan. Add in, the mulch with chopped onions! Pour in the worcestershire sauce. Pour in the white wine. 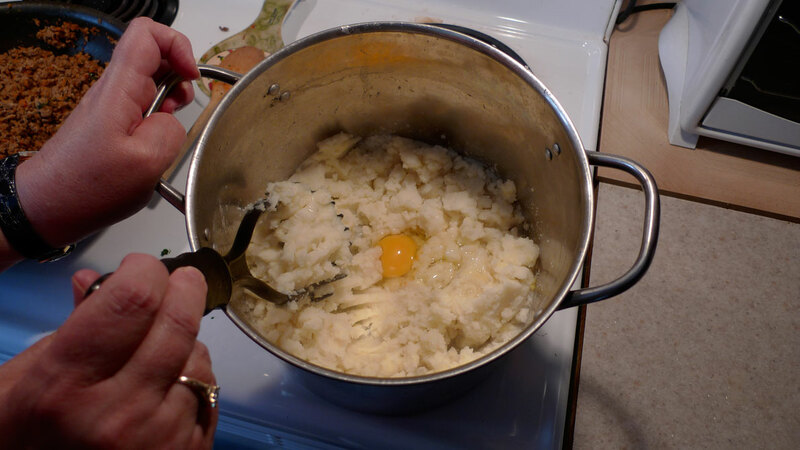 Smarter people would have sliced these potatoes before hand…but not us! Ajouter le maïs. Vive le Québec! This is where John decided to build snowmen! But Pedro would have none of that! For a bit of color, add some paprika….thanks mom! Stick it in the oven and bake until bubbling and golden brown.